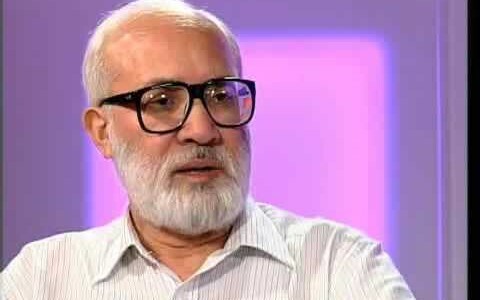 “No sir, this is not my job!” I was expecting this polite but firm response from the highly respected journalist Mr Rahimullah Yusufzai, when he was asked by the government to be part of the four-member committee to negotiate with Tehrik Taliban Pakistan (TTP) in early February 2014. I was taken aback to learn that he had accepted the offer. He did it may because it was not linked with any financial benefits or offer to formally join the government. Yet, journalistic ethics demand that if we are practicing journalists we should report or analyze news not become part of the news. Journalists often endanger their own lives and lives of others when they become part of the story by taking sides. This gives an excuse to conflicting parties to call journalists biased and partial and as a result, often target them, sometimes violently. While Mr Yusufzai himself is in a better position to explain why he decided to go to the other side of the news and become news himself, but by joining the committee he may not have a free voice to express his “journalistic opinion.” He will now be bound “morally” not to speak out of the domain of the Committee. This means that because he has not quit journalism but is also now on a government committee to talk to the Taliban, he is in a position of conflict of interest if he also reports the proceedings. Mr Irfan Siddiqui, one of the other members of the government committee, is also a respected columnist, but unlike Mr Yusufzai, he has been associated with the ruling Pakistan Muslim League-N of Prime Minister Nawaz Sharif. He has once again accepted an offer from Sharif to join his government and now is an adviser to the prime minister on national issues. In the past also he had served in the presidency under former President Rafiq Tarar appointed by Sharif. He is also said to be one of the speech writers of the prime minister. Being a reader of Mr Siddiqui’s columns in the leading Urdu daily Jang and being impressed with his linguist skills, one expected that he should write his past and present designation in his initials. At least, this is what the reader expects from any political leader or government servants, retired or serving, to do. For instance, Mr Oriya Maqbool Jan is a Grade 20 officer and ethics demands that he should write his designation with his initials in his regular newspaper column to let readers know he is a government employee. He is among the rare officers of the government, who has not been stopped from coming on TV or writing or getting a no-objection certificate (NOC), otherwise required of all officers in government employ. It is important to differentiate between full time journalists and regular columnists. The latter often includes people who are not full time journalists but include people who write columns as their part time activities. These include retired officers, both civil and military, air force, navy, police and intelligence agencies beside retired bureaucrats, etc. It is also important to ponder how the “newspaper space” or “air time” on TV screens is being used for political gains by various actors and thus the issue of “conflict of interest” needs to be addressed. Unfortunately, the media in Pakistan does not have a forum to address these critical moral and ethical issues. While there are several codes of ethics produced by various media stakeholders, they are mostly confined to ‘moral questions’ rather than principles of ethical journalism and how to ensure compliance with them. Pakistan has a history of respected journalists joining politics or government. Why this is a clash of interest? You become known in the government and political circles because of your journalistic skills and get recognition because of journalism. Therefore, when you get an offer and accept it, you actually compromise on your journalistic standing for political benefits. While joining politics or government is not unacceptable, one should at least announce and formally quit the profession. One should not use the reader’s or viewer’s space for political gains. Mr Najam Sethi, another respected name in the journalist community with a large following, disappointed his colleagues when he once joined the caretaker government in 2013 as caretaker Punjab chief minister and again by becoming the acting chairman of the Pakistan Cricket Board while at the same time continuing with his popular TV talk show. Ms Sherry Rehman became a known entity when she became the editor of Herald magazine. A competent and courageous journalist, at times she took very bold decisions and confronted the police and the establishment during Nawaz Sharif’s first government in the early 1990s. But one day she decided to join the Pakistan People’s Party because Benazir Bhutto requested her to play a role in the party. She was praised for her journalistic stance but than by joining the party, she basically compromised on her journalistic work. She certainly did an excellent job as information minister and as Pakistan’s ambassador to the United States, but in the process we lost a good journalist. Mr Mushahid Hussain was considered a brilliant editor when he edited The Muslim newspaper but then joined politics. The same could be said about number of other journalists like former editor of The News, Ms Maleeha Lodhi, former journalist Mr Hussain Haqqani (both served as Pakistan’s ambassadors to the US), former editor Daily News Mr Wajid Shamsul Hasan (former high commissioner to UK), former editor of Jang Lahore editor, late Mr Irshad Hussain Haqqani, correspondent for Arab News, Mr Salahuddin Haider and many others. Pakistan is the only country in the Islamic world whose media is a super vibrant entity, vocal against its successive rulers, military or civilian, but its journalists in particular have a history of struggle working in an atmosphere of “fear” and at the same time be fair and unbiased. Perhaps, it all started during the era of former military ruler Field Marshal Ayub Khan when former editor of Dawn Mr Altaf Hussain joined the government. During successive regimes journalists at times played role of ‘power brokers,’ too. They played this role during the 1977, Pakistan National Alliance movement against Zulfikar Ali Bhutto. The infamous Asghar Khan case is yet another example how some of senior journalists and editors were “paid”. A line needs to be drawn that the newspaper space should not be used for political space of a few individuals. Media houses in Pakistan need to take some position provided they too not become part of the news. Thus, the decision of Mr Yusufzai to become part of the four-member government committee talking to the Taliban may not fall in the same category because his job would end as soon as the talks are over but it would have been much better if he had continued to give his opinion during the negotiations as a neutral journalist. We will miss you, sir! The author is a seasoned journalist and former secretary-general of Pakistan Federal Union of Journalists.